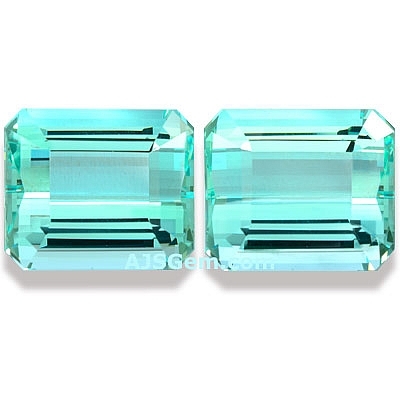 Aquamarine, the blue or greenish-blue color of the mineral beryl, is one of the most popular of colored gemstones. It is valued for its excellent hardness (7.5 to 8 on the Mohs scale) and its delicate color and excellent transparency. It is also one of the few fine gemstones that can be found in large sizes at affordable prices. Prices on aquamarines can vary widely, so it is important to understand the quality factors that affect price. Like all gemstones, the "four C's" -- color, clarity, carat weight and cut -- affect price and value. But in the case of aquamarine, color is especially important. Most of the aquamarine cut as fine gemstones is very clean material, so you will find that most of the high quality aquas offered in the market have excellent clarity grades. 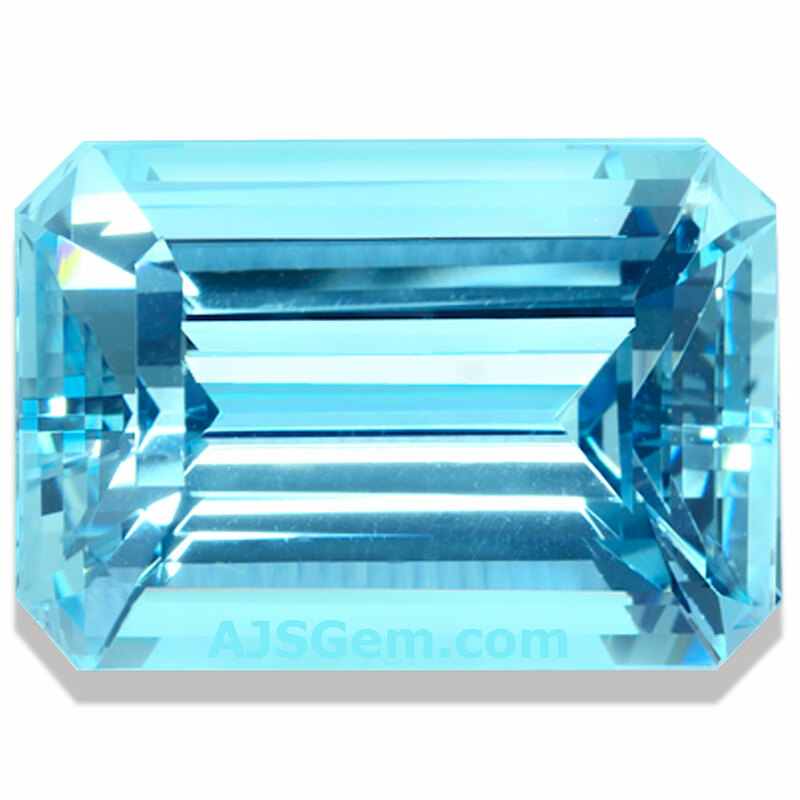 Because of aquamarine's transparency and light color, inclusions tend to be highly visible and can impair the beauty of the gem. 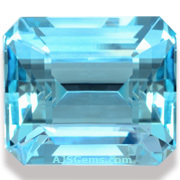 Most high quality aquamarines are graded "loupe clean" or "almost loupe clean," meaning that any inclusions are not visible with the naked eye. The main price differentiators are color and carat weight. Aquas can rangle in color from blue to green, but the pure blues are the more valuable. Green aquas are often heated to reduce the yellow, so a clean unheated blue aquamarine with good color saturation is a rare and valuable gem. 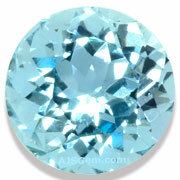 All aquamarines are pastel in color, but some of the lower-priced gems are quite pale. Darker-toned aquamarines usually command the highest prices in the market. Smaller aquamarines (under 5 carats) of good quality can be found at prices around $100 to $250 per carat. The greenish-blue stones will usually be priced at the lower end of the range, unless the color saturation is particularly good. 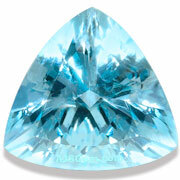 It is unusual to find the deeper blues in aquamarines under 5 carats. Larger stones tend to have deeper color due to the longer light path, and you will find the prices for top colors to be considerably higher due to a premium for both color and size. 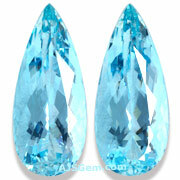 Prices for larger aquamarines range from about $300 to $600 per carat. The highest prices are charged for the darker colors. But color saturation should not be confused with tone. Some of these darker toned aquas actually have quite a bit of gray and are not nearly as attractive as lighter toned gems in a purer blue. So choose the aquamarine with the color that appeals most to you.